1. Please tell me a little bit about your musical background, your main influences. 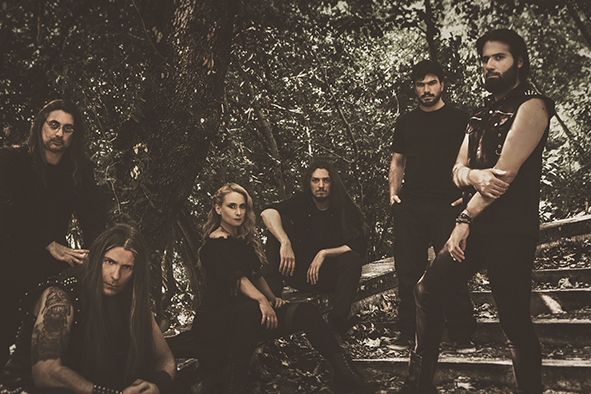 Some years ago, there was a power metal band called “Sovereign”, whose main composer was Elias Pero, Chrysilia’s co- founder and co-composer. Some of his ideas from the past songs were used in “Et in Arcadia ego”, along with new compositions by Elias and me, orchestrated in a modern way, but always having that “romantic” metal atmosphere. We are both fans of melodic metal, power metal, soundtracks, jazz and classical music. I, personally, have a strong relationship with musicals, since I grew up listening to all the big musical theatre productions and actually acted in a few very big productions in Greece. 2. Please describe you album and your music for someone who don't know anything about you! 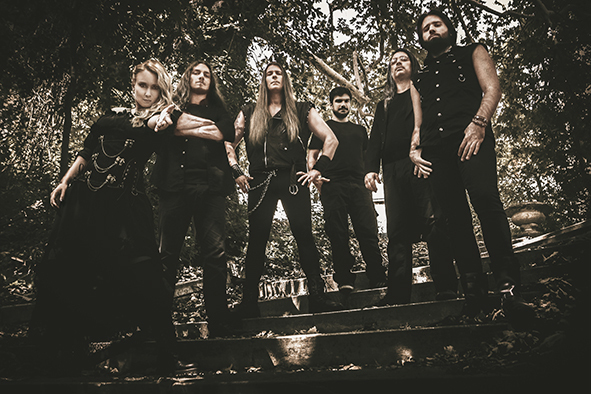 “Et in Arcadia ego” is a folk/soundtrack/symphonic metal album, with a very strong presence of power metal. 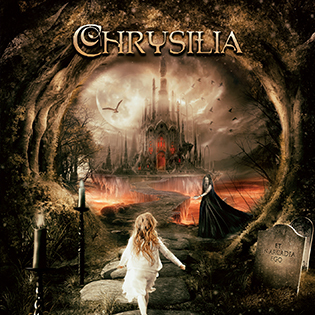 It is a concept album , describing metaphorically the myths we grow up with, the illusion and disillusion, the abandonment, all through the eyes of a little girl called Chrysilia, who dreams in “Arcadia”, as it was referred in the Renaissance as a Utopia, the place where our souls travel to at the highest level of peace. 3. I know this is a hard question but anyway:-) If you were forced to say that your album is for fans of "X" - which band would that be? Well, it is hard but if I could name some bands, I think that fans of “Ayreon” and “Avantasia” would probably take our music in their hearts. 4. Please tell me something about each song on the album. You can imagine this album as a book and each song is a chapter. In order for someone to understand the book and feel its meaning, it is definitely better to see it this way, touch the artwork, listen to the music and read the lyrics. It is not the typical album that you can describe each song separately as everything is connected. 5. How long did it take to make this album? Composing and creating this whole idea, along with the recordings and mixing-mastering, took about a year. 6. Do you plan to play this music live? Well, every band’s greatest pleasure is when they play their music in front of an audience! So, of course we have scheduled our first live show on December 3rd in our home town Athens, Greece, we can also announce our participation at the famous FemME festival in The Netherlands in September 2018 and of course many shows to be announced. 7.Please tell me about you co-operation with Bob Katsionis, how did that happen? We knew Bob Katsionis’ work for quite a long time, he is one of the most multitalented musicians/producers in Greece and it was about time we met each other! We trusted his talent with our video clips and the production/arrangement of our album and we are so very proud of the outcome! Thanks Bob! 8. What was your goal with making this album? We wanted to make music that would describe powerful meanings and emotions that would speak to many people. Our music influences and their combination in a melody, was a dream that we were finally able to create and give our love to. 9. How do you feel about the Greek rock music scene of today? The Greek rock and metal scene was always very much alive and with a very dedicated audience. But due to the downfall of most Greek record labels, Greek bands make their effort abroad, aiming for a larger audience and promotion from a foreign record label, but never leaving behind their Greek fans. Singing and kickin’ on the stage of Wacken! Just kidding. We will definitely write and perform new music, on every corner of the world that people will want to see us. 11. In what way do you think your album is different from all the other Symphonic/folk metal albums that are being released ? Straight vocals, catchy melodies with a complex but not over-the-top arrangement and the combination of three elements in one: power, folk and orchestral all blended in without exaggeration. We basically wrote what we would like to listen to as fans from a symphonic scene that declines in recent years. Let’s hope we managed to do that! 12. Do you think that music will survive the current "everything for free" mentality and do you think that people in general care? We are in difficult times. Everywhere around us we are looking at a plastic, industrialized society that literally takes over our souls, our freedom and of course, this is expanded in music also. Our society has been through very difficult times throughout the centuries, but music has always had a way of surviving and I believe that people need to listen to music, forget their worries and just.. let go. The classic music industry is probably gone or slowly disappearing though and will possibly give its place to new platforms and ways of sharing music art in the future. 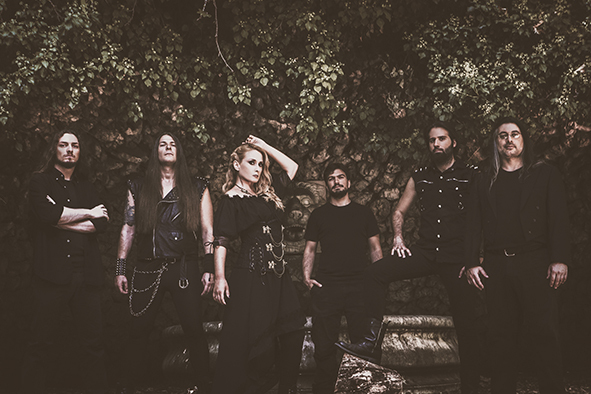 We will have our first live show which is also a full presentation of our album on December 3rd in Athens, Greece, our participation on FemME festival in The Netherlands on September 2018 and we are scheduling more live shows. Writing new music for our next album of course is already in progress and we are looking forward to get back in the studio!